Six teenagers were recently arrested and later bailed on account of using the hacking tools of a certain Lizard Squad to breach softwares and websites, which included gaming companies, school servers and even newspapers. The teenagers, aged between 15 to 18 and all male, were arrested during an operation by the UK police in search of hackers using the Lizard Stresser tool that allows the user to send spam to system and facilitate the denial of service (ddos) attack, which makes the website unavailable to the real time visitors. In the past, such ddos attacks have caused both reputational and financial damage to services provided by big business giants like Sony to even government websites, while these attacks interrupt the smooth functioning for a time interval that starts from a few hours and can last till weeks. This tool was effectively used by the Lizard Squad in December 2014, to interrupt the online gaming services of Microsoft’s Xbox Live and Sony’s PlayStation Network. The tool is available in the market and can acquiring it can make a normal person into a potential hacker who can then select their targets according to their will. The UK police arrested the teenagers with the help of the National Crime Agency(NCA), while they were trying to pay anonymously for the tool using BitCoin. 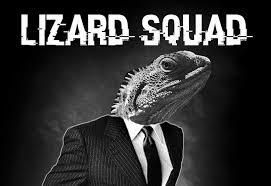 However, none of the six teenagers have been confirmed to be a member of the Lizard Squad. Tony Adams of NCA’s cybercrime unit, explained that by a small amount, a person can acquire the Lizard Stresser that can ruin big businesses and make access to information a deliria for the public. He further added that the arrest was made under an operation named ‘Vivarium’, and that the teenagers were operating from all across UK. A member of Lizard Squad was arrested in Twickenham in December for their involvement in cyber attacks, while a further member was arrested in May for pranking armed police. However, the hacking group’s tool remains available, despite its site being hacked revealing customers’ details.